1994 first joint exhibition in the Netherlands. 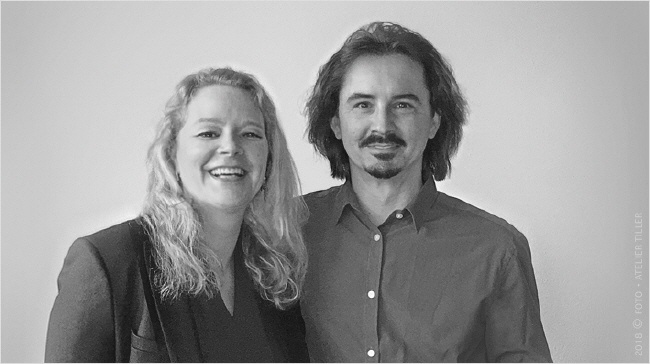 1998 Roland and Birgit Tiller founded their studio ATELIER TILLER in Germany. In the last 20 years, many private and public comissions for painting, designs and interior designs were met. The focus always stays on the colour and the interaction between the human being, the earth and the cosmos.